If you know of great videos – particularly those produced by partners, please drop me a line and let me know. I recently had the pleasure to interview wicked smart Microsoft Client App Dev MVP Michael Perry as part of the Microsoft DevRadio show to hear about the amazing work he’s done on an open source databinding framework called Update Controlswhich can help Windows 8 app developers simplify their code by automatically discovering dependencies so that you won’t have to manage them in your view model. 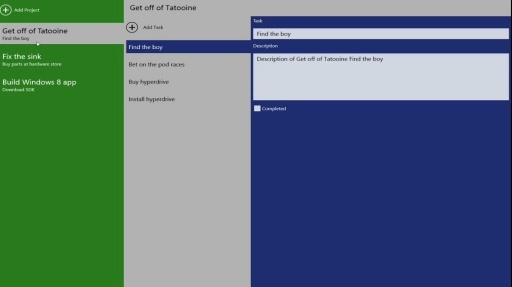 Generation App – Develop and deploy your Windows Store app in 30 days! 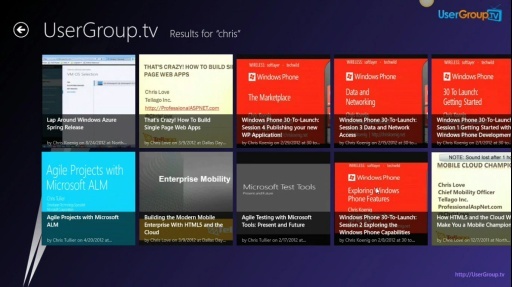 I had the great pleasure recently to interview Microsoft C# MVP Shawn Weisfeld as part of the Microsoft DevRadio show to hear about the Windows 8 app he built for UserGroup.tv. Tune in and listen to this great story as Shawn describes his experience building the app and how you can watch great user group created content anywhere, anytime. Similar to what I did with Windows Phone, I’ve created a page to host a bunch links to some useful Windows Azure resources. This list is NOT meant to be a comprehensive list of all things Azure, but is intended instead to be a living organism that grows and matures over time. I will do my best to keep it fed and well nourished, but if there are things that you think are missing, or would like to see here, then drop me a line and let me know. Come learn about the future of Windows Phone at the Windows Phone Summit! Just saw a really cool video on YouTube from Nokia featuring their new Lumia device featuring Windows Phone. Enjoy!